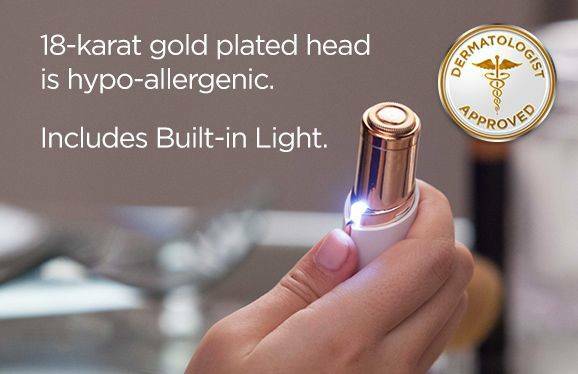 · Gold-Plated in Beautiful Rose Gold, Discreet and Portable,Rechargeable battery. 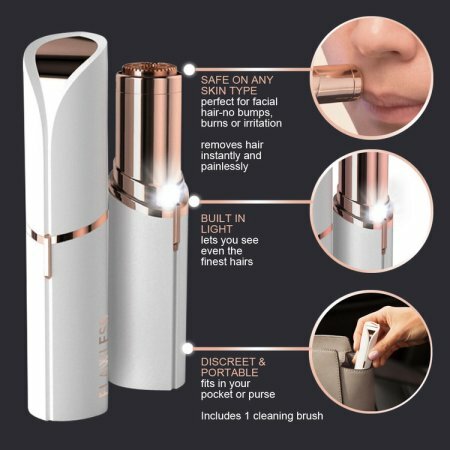 · Make the skin smooth and delicate. No more irritation, redness or cuts. 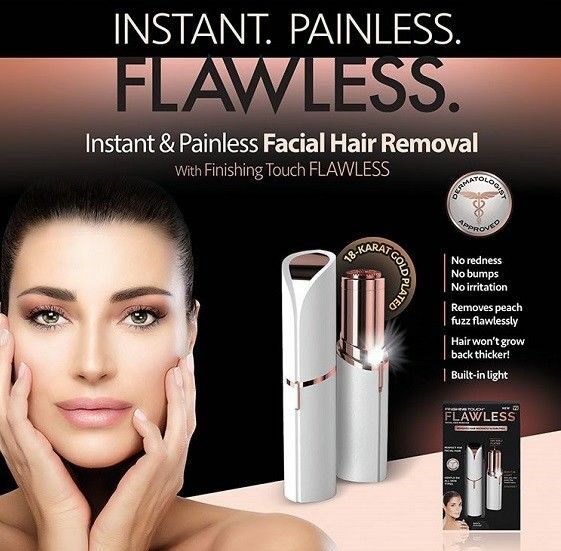 Are you looking for an ultra easy and painless way to remove unwanted facial hair and body hair? 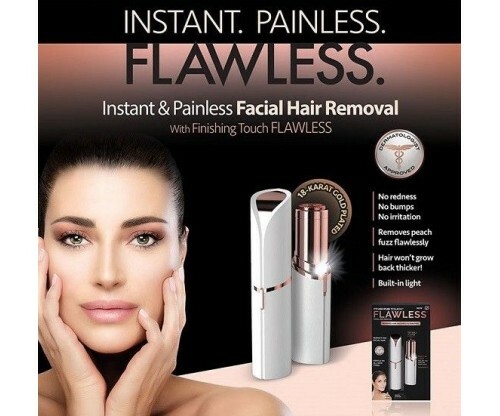 The Flawless women's painless hair remover is the best choice for you. This discreet and stylish facial and body hair remover is sleek and discreet. 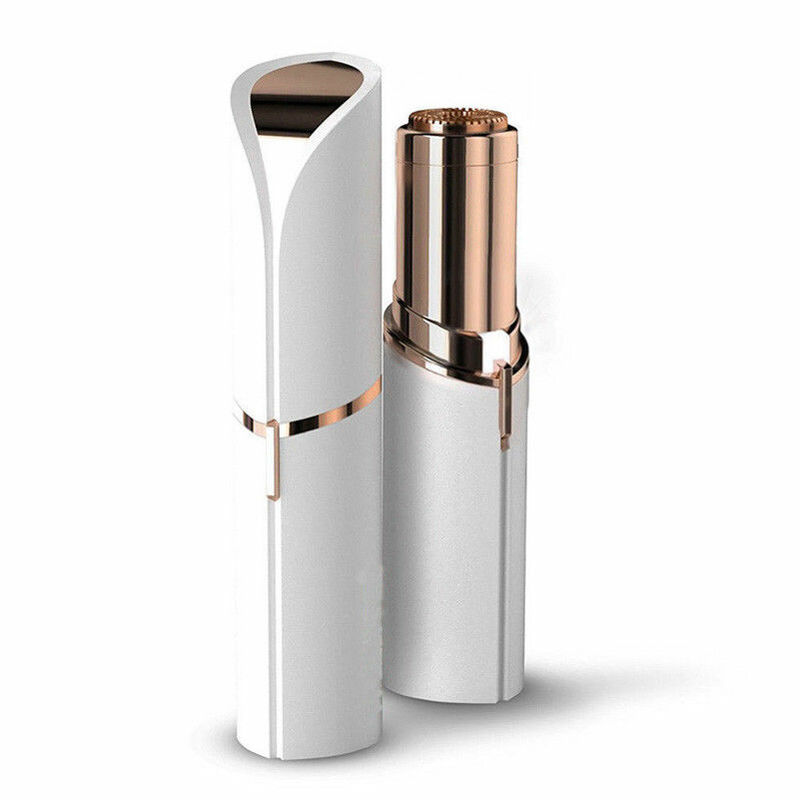 The mini pocket style is specially designed for elegance fashion ladies, which also makes it a considerate companion for your confidence and beauty. No nicks, redness, or irritation. A finish as smooth as waxing! And, with facial hair gone, your makeup application is easy. - Slide the switch located on the side of the unit upward into the "ON" position. - Gently press the head of the unit flat against your skin. The unit should not be on an angle. Proceed making small circular motions to remove unwanted hair . 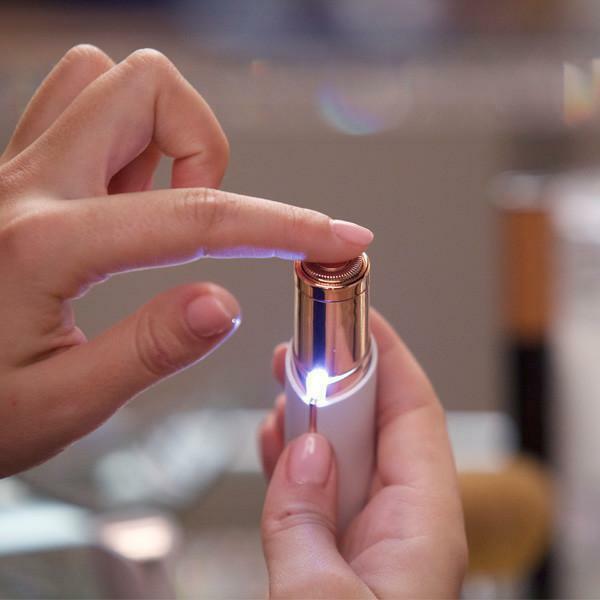 Twist the rotating hair removal head counter-clockwise and lift off .